A court on Wednesday reserved order on a CBI plea for a polygraph test on nine students in connection with missing Jawaharlal Nehru University student Najeeb Ahmed. 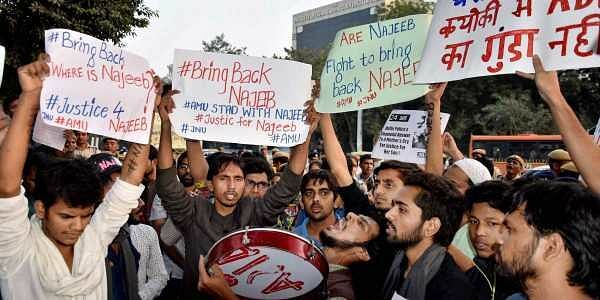 NEW DELHI: A court here on Wednesday reserved order on a CBI plea for a polygraph test on nine students in connection with missing Jawaharlal Nehru University student Najeeb Ahmed. Additional Chief Metropolitan Magistrate Samar Vishal reserved order after counsel for the Central Bureau of Investigation (CBI) and JNU students concluded their arguments. The CBI has sought a lie-detection test on the nine students to ascertain facts related to the case. Students' council Vishwa Bhushan Arya and Ujjwal Kumar told the court that, as per the National Human Rights Commission, the lie-detector test is not authorised by law and must be regarded as illegal unless it is voluntarily accepted. The council urged the court to dismiss the plea, terming it "premature and not maintainable". The council said that summoning the students to record their consent or refusal is nothing but coercive exercise. In an earlier hearing, the court had allowed the CBI plea for an early hearing on the application for nod to the lie-detection test. The CBI plea came after the Delhi High Court asked the agency to seek an early hearing in the trial court, which had earlier adjourned the matter for January 2018. Ahmed, 27, an MSc First Year student, went missing on October 15 last year after an alleged fight with members of the Rashtriya Swayamsevak Sangh-affiliated Akhil Bharatiya Vidyarthi Parishad. However, the student's body denied any involvement.